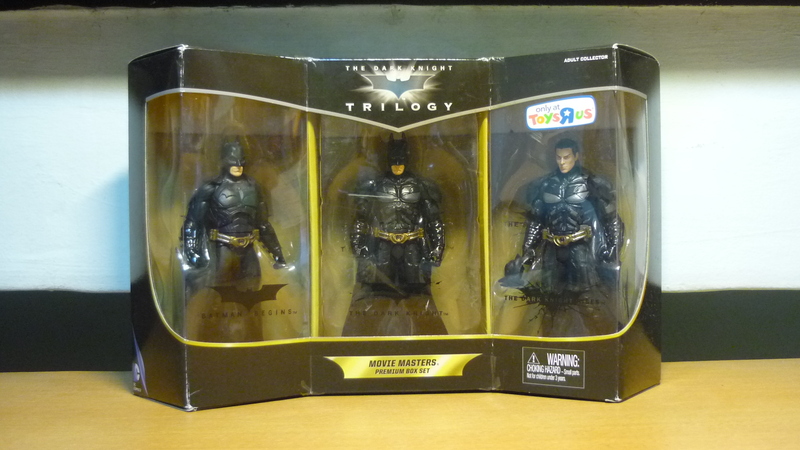 It took a very long time, but I have finally found the last two “The Dark Knight” figures that I had been lacking. In “Batman Begins”, when Batman subjected Scarecrow to a taste of his own neural toxin, Scarecrow hallucinated and saw Batman’s hideous ghoul appearance, freaking him out. 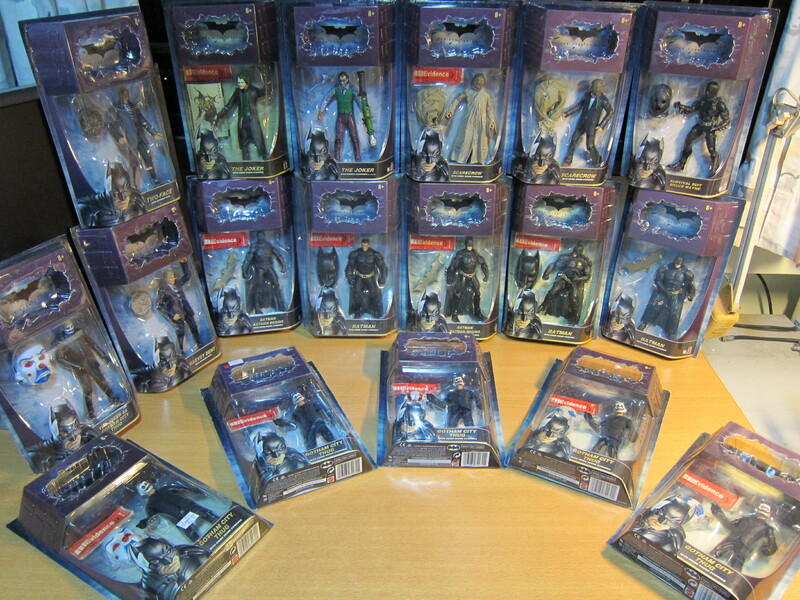 The above two figures are chase figures, and I never even came across them when the first wave of “The Dark Knight” movie masters figures was on sale. 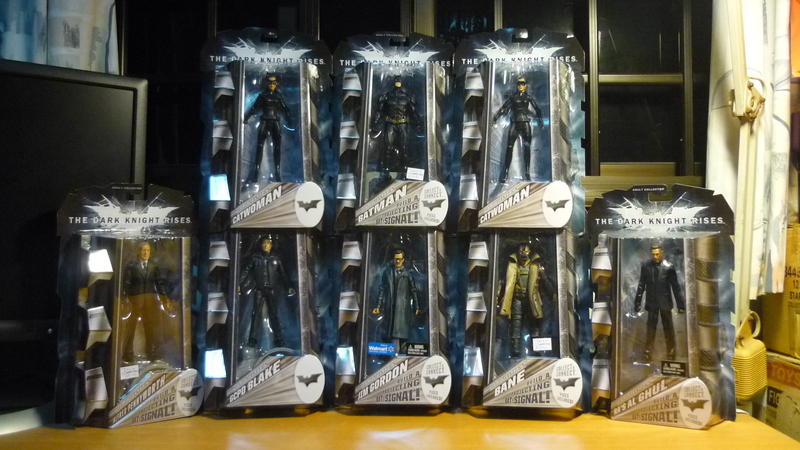 Now that I have acquired Fear Toxin Batman and Unmasked Batman, I believe my set of TDK movie masters figures is complete. Behold! 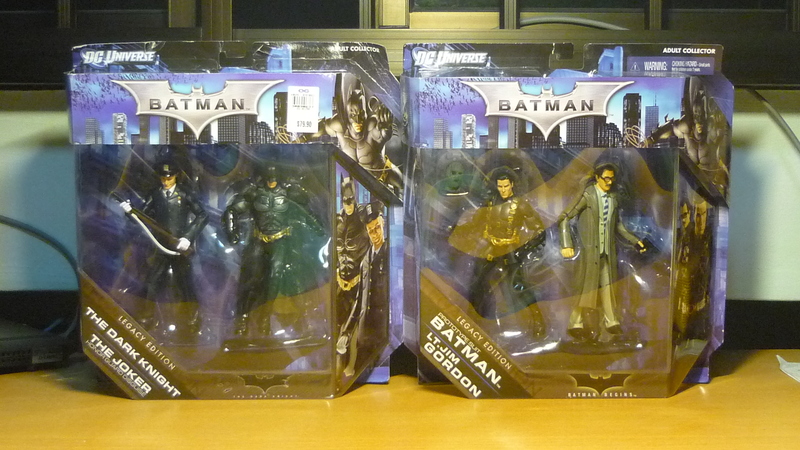 Here’s a better photo of the 5 Gotham City Thugs so that you can see the masks. The Joker’s mask is the second from the left. 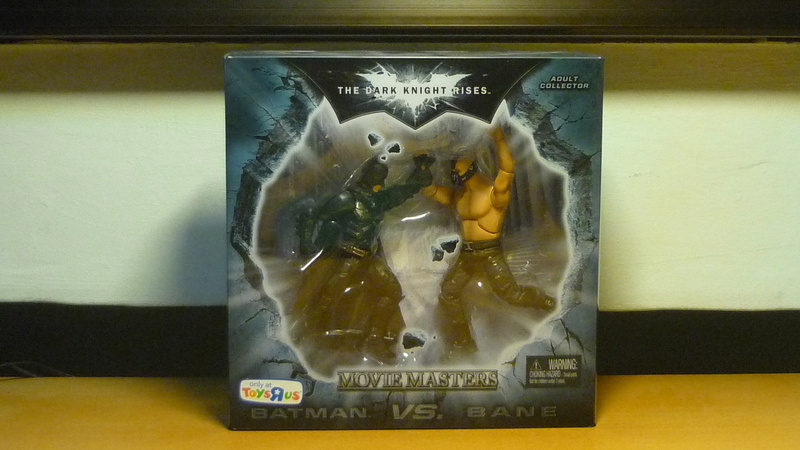 Wave 2 of TDK movie masters figures included “The Joker as Gotham City Thug”, which had the same mask (but made from a new mold). 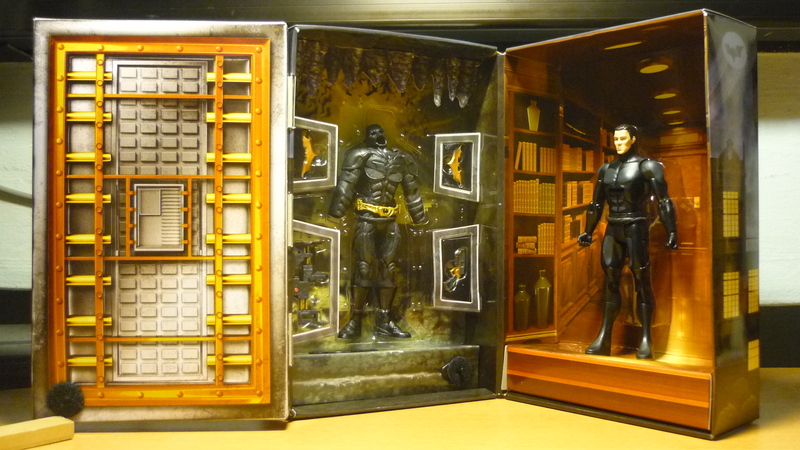 While I’m still at it, I’ll showcase a couple more of the other “The Dark Knight” and “The Dark Knight Rises” items. Not many people are aware of the above two twin-packs: Batman & The Joker (Honor Guard Disguise), and Prototype Suit Batman & Lt. Jim Gordon. 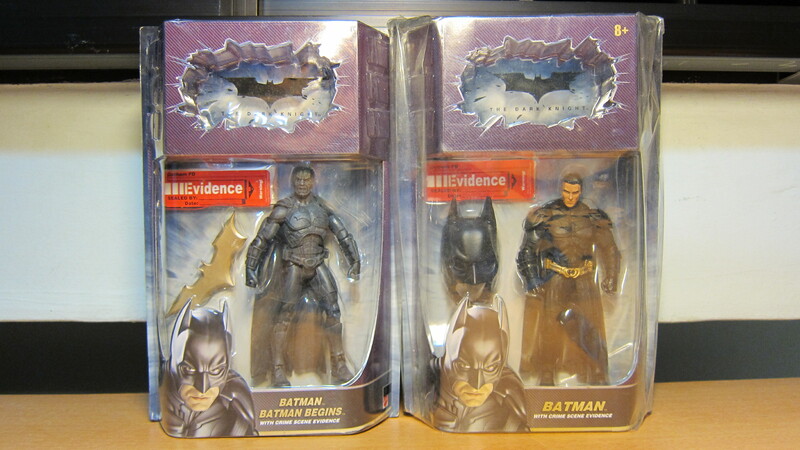 Batman and Prototype Suit Batman are repackaged releases, while Jim Gordon was later re-released as part of TDKR wave.